Unique Moments Photography of Gig Harbor Washington traveled to Enumclaw to capture this wedding on their family farm. This Image is a great example as to why you should hire a professional photographer to photograph your wedding. This image is straight off the camera. We used off camera flash, ND filters stacked with a circular filter, and very expensive camera lens to completely isolate the bride from the background. 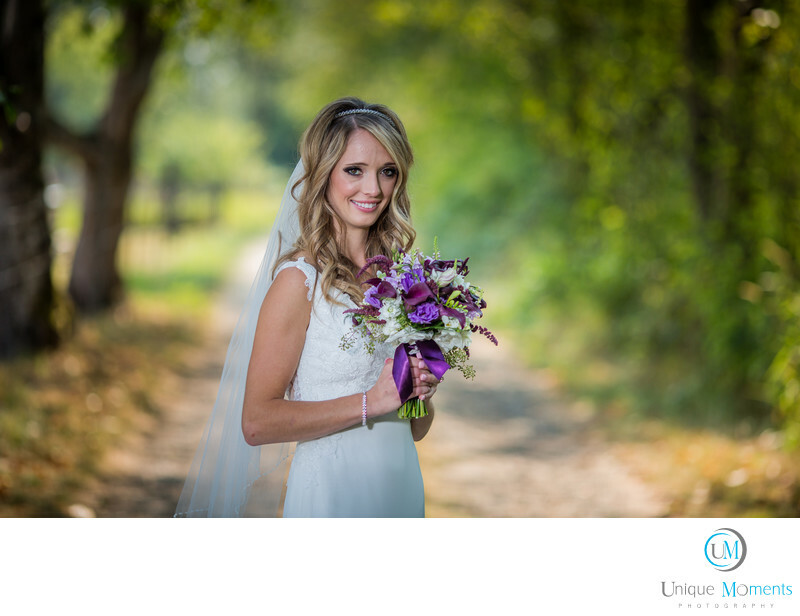 We return all the wedding images to our brides with 2 weeks from the ceremony date and more often than not within 10 days from the ceremony. We take diligence to capture the image right so we don't have to spend hours in the edit process on pictures. We show up with 3-4 cameras and we bring a lot of professional lighting and equipment. We have been covering weddings for 9 yrs. So be assured that your images will be captured right and you will not wait for months to get them from us.